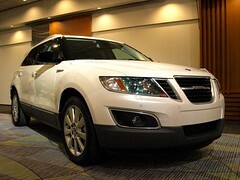 After a slew of significantly refreshed models in 2011, the crop of new 2012 SUV models do not offer as many changes. The biggest news on the SUV front the 2012 model year is the all-new Honda CR-V, which debuts late in 2011. The model has faced delays due to the Japanese earthquake, tsunami, and nuclear leaks of March 2011. 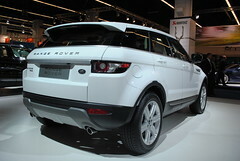 There are two all-new 2012 SUV models, the Land Rover Range Rover Evoque, and Saab 9-4X. There will be more coming for the 2013 model year as the Mazda CX-5 debuts and the all-new Infiniti JX, a 7-seat luxury crossover debut. There will also be a new generation Ford Escape in 2013. Besides the CR-V, other 2012 SUV models receiving new generations are the Mercedes-Benz M Class and the Volkswagen Tiguan is substantially upgraded. The M-Class has increased power, better fuel efficient, and is slightly larger. Most 2012 models are now on sale. Buyers have more than 80 SUV models to choose from with 20 models having a starting MSRP under $25,000, including the new CR-V, which is expected to arrive by December 2011. Cannot find it at any dealership. Is this a confirmed info ? This would be a great feature to have. Otherwise I would rather opt for an Explorer.